THE EDFL Women’s competition has expanded to two divisions for the 2019 season, highlighting the growth of female participation in the Essendon District. Teams in EDFL Women’s Premier include reigning premier, Pascoe Vale and runner-up Burnside Heights. EDFL Women’s - Division 1 includes new teams such as Coburg Districts and Moonee Valley. 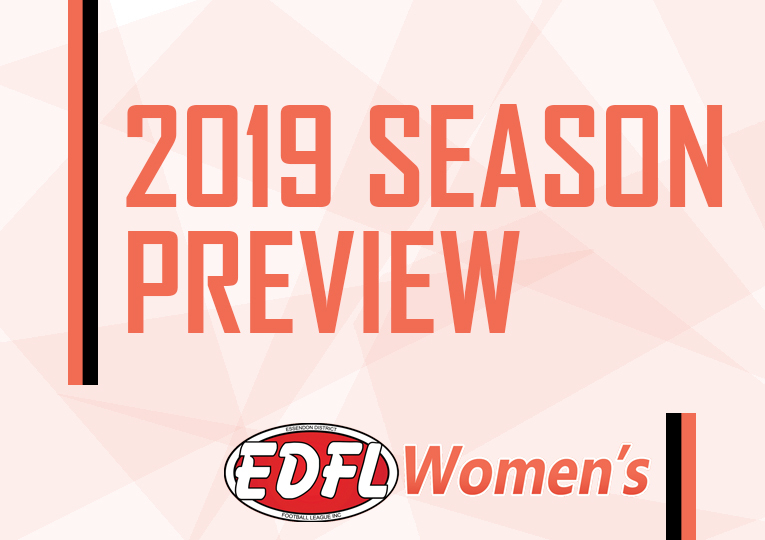 Let’s take a look at each team ahead of what’s set to be a massive season of EDFL Women’s. Aberfeldie was one of the teams to beat last season, ending up with the double-chance in the finals. Their run and dash, led by captain Kurtis Shine and exciting midfielder Olivia Madden, helped the Gorillas win nine games out of a possible 12 in 2018. Coach Claire Heffernan was named Senior Coach of the Year at last year’s EDFL Awards for beginning a successful EDFL Women’s campaign with Aberfeldie. The Gorillas had three players in last year’s EDFL Women’s Team of the Year. Madeleine Saunders filled a spot on the half-back line while Alicia Reivers was named on the interchange bench. This Aberfeldie line-up is one of the strongest in the competition, so expect some fireworks from them. Cachia was the former captain of Strathmore and played a key role as a leader of the side. She comes to an Aberfeldie side that’s formed a strong line-up for 2019. She has great hands and a long kick. She was sidelined by injury late last year but will be keen to return. Carlton has come across from Pascoe Vale and was the competition’s leading goal-kicker last year with 40 goals from 13 games. She was named as the centre half-forward in the EDFL Women’s Team of the Year. Eddington is a premiership player with Pascoe Vale. She was named in the EDFL Women’s Team of the Year on the half-back flank. Expect her to play a key role in defence for the Gorillas. Burnside Heights was a near flawless side last season, only losing to Pascoe Vale. The Bears had a healthy percentage of 473.03, thanks to some big wins along the way in the regular season. But the success was dented in the Grand Final when the Bears failed to score on the big stage. Burnside Heights had three players in the EDFL Women’s Team of the Year, including captain Kayla Ravanello. The speedy Krissy Trang was named in the back pocket, while Brooke McKinley was named in the forward line, despite sustaining a season-ending knee injury in Round 7. Last year’s coach Brett Thomas has stepped down from the role for the upcoming season, but the club has appointed the experienced Jeff Stevens to lead the side. His daughter, Ebony, will play for the Bears this year. Expect a new-look Bears side with plenty to prove in 2019. The Bears captain was outstanding last year with 37 goals in 15 games. She was named in the EDFL Women’s team of the Year on the half-forward flank. If she managed to kick 11 goals in one game, who knows what she could do this year. Trang, one of the fastest players in the competition last year, could be a dangerous player again for the Bears this year. She made the EDFL Women’s Team of the Year and was named in defence but is also able to showcase her versatility through the midfield. McKinley’s season was cruelly ended in Round 7 with an ACL injury, but will be raring to return this year for the Bears. Her and Ravanello were a lethal duo up forward and could do damage again this year. McKinley still made the EDFL Women’s Team of the Year despite missing six rounds. The Eagles struggled in the 2018 season, despite showing promising signs in 2017. They finished ninth on the ladder with four wins and eight losses. New addition Taylah Logie provided some spark in the side while Samantha French continued to impress with 12 goals from eight games. Kayla Glazebrook showed great on-field leadership, being named in the best players seven times. French was the only Craigieburn player named in the EDFL Women’s Team of the Year, finding her place on the wing. The Eagles will be hoping to get back to their promising 2017 form this year. French has been a wonderful leader for this club for two years, playing a role wherever she needs to be. She was named in the Team of the Year in the midfield, thanks to her big kick and strong hands. Glazebrook always managed to present well last year with her hands, and her kicking was also a standout in her game. She kicked 12 goals from five games. Hillside was another side that struggled last year, finishing 10th on the ladder with three wins and nine losses. The Sharks have lost star player Nikita Wright, who was a shining light for them, alongside Brittany McIntyre. However, the Sharks have recruited a player with VFLW experience in Emily Paterno. Paterno played with Williamstown last season in the VFLW and finished in the top 10 of the club’s Best & Fairest. She has played over 50 games of premier division football. Wilkie hails from Melbourne University in the WRFL. She won a Best & Fairest at Under 18 level and could impress again at senior level for the Sharks. Keilor was the team to beat in the 2017 EDFL/ WRFL Women’s competition, and won the premiership on an undefeated run. This success enabled the Blues to field two senior women’s teams last year, one in the NFNL and one in the EDFL. While most of their premiership stars were at the NFNL, their EDFL contingent still showed promising signs. Captain Christie Roberts was one player who led from the front, winning the club’s Best & Fairest last year. 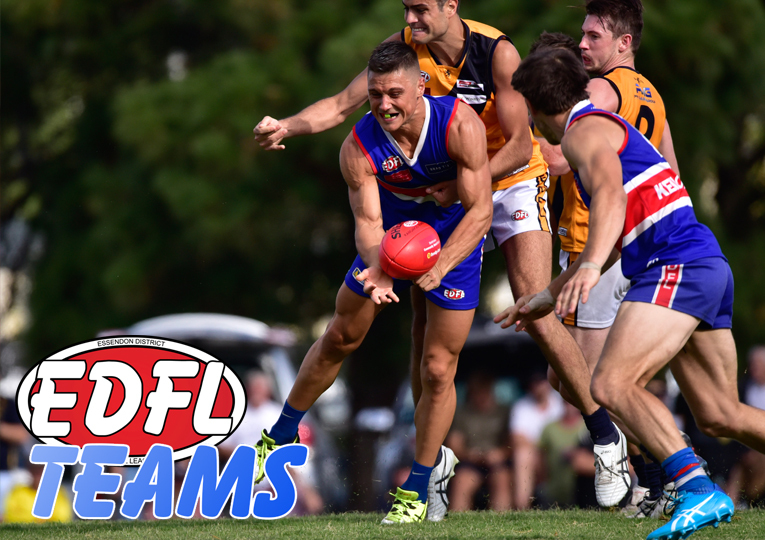 With the NFNL players returning to the EDFL for the 2019 season, the Blues are certainly one of the teams to beat this year. Gent was best-on-ground in the 2017 Grand Final, highlighting that she is a player who can perform on the big stage. 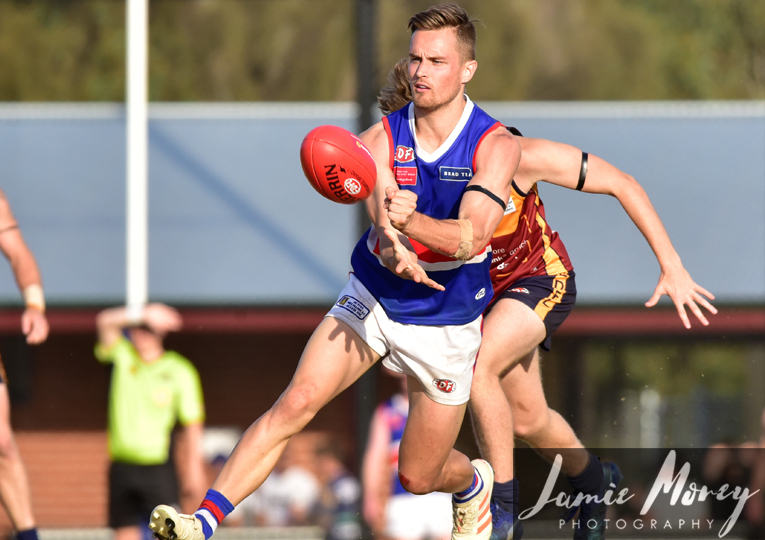 Gent was an integral part of the side in the home-and-away season in 2017 and is one of many premiership players who come back to the EDFL this year. Wright is a key cog in Keilor’s midfield. She was the club’s runner-up Best & Fairest last year, losing out to her sister, Sarah. Todero has led the club’s goal kicking for two straight years, highlighting her remarkable goal sense. In 2017, she kicked 60 goals for the season, leading the league, while in 2018, she kicked a club-high 24 majors. She finished second in the NFNL last year on goals overall. Pascoe Vale comes into the 2019 season as the side to beat, following a 55-point win in last year’s Grand Final. The Panthers went through the season undefeated, and it was on the back of some great players like Siobhan Carlton, Sarah Larkings and Sian Eddington. However, Pascoe Vale has lost this trio, and 10 others for the 2019 season, with three players still in limbo. The Panthers will certainly be tested this season in premier division. Bof, a key cog in the midfield, has been playing footy since she was a junior. She brings valuable experience to the side and produced some good performances last season for the Panthers. Iocco was a hard worker for Pascoe Vale last season and received seven Best & Fairest votes last season. She kicked five goals from 13 games. Lilla was one of many Panthers who regularly got on the scoreboard. She kicked 12 goals from 13 games and came third in the club’s goal kicking. Strathmore had a great first season in the EDFL Women’s competition, scraping into eighth position to make the finals. Sophie Cachia led from the front, but will be sorely missed after heading to Aberfeldie for coming this season. However, they’ve acquired Western Bulldogs defender Jackson Trengove as their coach for this year. This could provide the Mores with a huge advantage, as they have someone with AFL experience at the helm. The Sunbury Kangaroos came awfully close to a grand final last year, making it all the way to a preliminary final against Pascoe Vale. Their side was littered with stars last year, with four of them making the Team of the Year. Star forward Tara Crisp has hung up the boots, as has experienced veteran Danni Green. But with the Kangaroos retaining most of their players, expect them to come out firing in 2019. Said won the competition’s Best & Fairest last year and was named on the interchange bench in the EDFL Women’s Team of the Year. She was all class in the midfield and provided great run and carry throughout the year. An endurance machine, Bell was always in the contest last season. She was named as a ruck rover in the EDFL Women’s Team of the Year. Said provided plenty of spark up forward for the Lions last year, playing a pivotal role inside 50 as a high half-forward. She kicked 12 goals in 11 games. After being one of the teams to beat in 2017, the Lions had a mixed season in 2018. They still made the finals, finishing sixth. However, they’ve lost key players for the 2019 season, such as Simone Craige, Kelsie GIll and Olivia Cairo. Recently appointed co vice-captain in her 17th season, Wilson will have a big role to play in the new look Sunbury Lions side. A veteran of the game, Wilson will celebrate her 200th game early on in the season with all games being played for Sunbury Lions. Wilson will bring plenty of experience, not just in the back line but all over the ground. She may even push up to the forward line to kick a couple of goals for the Lions. Recently appointed as the captain of the Lions, Schubert takes over the role from Simone Craige who has moved to Sunbury Kangaroos. Although she has only been playing football for three years, Schubert possesses great leadership and communication qualities that are required to take on such a role. Schubert will bring much needed leadership and communication qualities along with player respectability to the revamped Lions outfit. She will be backed up by her co vice-captains in Taylah Brady, Laura Giles and Jaimee-Lee Wilson. 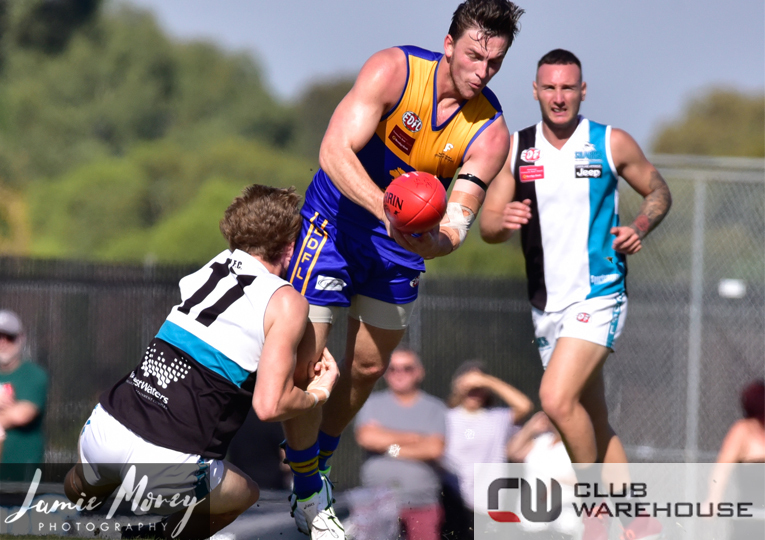 Westmeadows was one of the surprise packets of the year, falling just two points short of a grand final berth. The Tigers were led marvellously by captain Jacinta Scott and utility Danielle Linton. However, Linton has been sidelined for this season due to an injury, which is a big blow for the Tigers. But with a positive off-season, Westmeadows looks poised for another impressive season. Andrews is heading into her second year of football. Although small in stature, she is dominant on the field and surprises many of her opponents with her physical strength and determination. Schwarze is new to the club but has years of football experience. She has represented Victoria in state football and is a physical force on the field. We are excited to have her join the rest of the girls in the team! Aberfeldie is the only side to field two teams in the EDFL Women’s competition this year. The Gorillas have a long list of players and could be one of the more dangerous teams in the new Division 1. Avondale Heights are now a stand-alone team after having to merge with Taylors Lakes last season. The combined side showed positive signs, but the win-loss column wasn’t in their favour. The Heights have managed to retain 100-gamer Rita Ceravolo for the 2019 season, as well as recruit a host of other players to turn their fate around in 2019. They also have a new coach at the helm with Western Jets player Olivia Forsythe leading the brigade. Forsythe sustained a knee injury last year and still wanted to be involved in footy, so coaching Avondale Heights was a great fit for both parties. Coming from a Rugby background, Au has great sporting ability, reads the game well and can play in any position. She has had a great pre-season, her leadership is second to none and she can’t wait for the first game to arrive. She’s just a competitive sportswoman. Well there’s a lot to say about Ceravolo, where do I start! She came in the top five in the league Best & Fairest in her first year of senior women’s football at the age of 16. She has had an amazing pre-season with the Calder Cannons and has switched up her training with HIIT training, weights and a lot of running. She plays basketball to help her improve in her footy, so she’s looking to have an amazing season. Ceravolo understands the game more than anyone I have met. She’s a fantastic midfield player that can also play in the back line, running forward to kick us goals as well. She has amazing leadership qualities and is always willing to learn more about the game. This girl has improved so much in every aspect of the game. Capapas knows how to read the ball well, her work ethic was great over the pre-season and she gets along great with everyone in the team. Capapas always puts the team before herself. She is easy to coach and does everything you ask her to do. Last year was her first year of football and her grandfather was one of the founding members of the club, so I wanted to make sure she played in the first women’s team. Despite not having kicked a football before, in her first game of footy, she dominated in the ruck. This will be her position for the year. She is willing to learn and hasn’t missed a training session since pre-season started. Markham is very committed to her team and the club as a whole. Coburg Districts are a new side in the EDFL Women’s competition this year. The Lions have managed to recruit a couple of players from Pascoe Vale for the 2019 season. Storer is a pocket-rocket who just knows how to find the footy. She featured in the EDFL Awards night, but not in the way you might think, winning the Coach of the Year in the female category, due to her work with the Coburg Districts Under 11 side. Stevens is a former Pascoe Vale player who brings a lot of experience to the table. She played 11 games last year and kicked four goals. Another former Pascoe Vale player who is a handy addition to the Coburg Districts side. She played four games for the Panthers last year. The Essendon Doutta Stars are another new side in the EDFL Women’s competition this year. The Stars have plenty of junior girls sides in the competition, making for a positive future for the senior women’s side. It’s been three teams in three years for Fazzolari, having gone from Keilor to Aberfeldie and now to Essendon Doutta Stars. Fazzolari was a premiership player for Keilor and is a key presence in any forward line. Greenvale is another new side in the EDFL Women’s competition this year. The Jets will play this season in Division 1, which will be the same case for all the other new teams. Like the Stars, Greenvale also has plenty of junior girls sides in the competition, making for a positive future for the senior women’s side. Jets junior Olivia Manfre, who played Interleague footy last year, is in the Calder Cannons squad this summer. The Jets will be led by first-time coach Joe Gazzo. He has been involved at the club for nearly 25 years. Keilor Park has been one of the busiest teams in the off-season, initiating their SheDevil program, aimed at getting more women involved in footy at the club. Despite finishing on the bottom of the ladder last year, the Devils are keen to improve for the season ahead and have been training since August. They are set for a big turnaround in form. Bauerle has run our Auskick program for the last few years and we were delighted when she came on board to play last year. Now with one season and a pre-season under her belt, we are looking forward to see what Bauerle will do for us this season as one of our highest-skilled players. She has one of the most impressive 40 to 50-metre drop punts I have seen in women’s football. Lorenzon is another player who joined us during the season last year. Lightly-framed and quick across the ground, it took ‘Whip’ a while to gain the confidence to go in and get the ball. But after an outstanding pre-season and some excellent practice match form, we are looking forward to seeing Lorenzon zipping all over the field, being there to help her team mates and send the ball forward. One of the original members of the SheDevil family, Gwynne is a remarkable story. She is still taking on all the younger girls at 60 years of age! Gwynne has not missed a beat this pre-season, attending nearly every session and improving her game out of sight. Without doubt, she is one of our most competitive players with a relentless attack on the contest. She is set to make life hard for every opponent she lines up on this season. Maribyrnong Park is another new side in the EDFL Women’s competition this year. The Lions will play this season in Division 1, which will be the same case for all the other new teams. It will be exciting to see what they bring to the table in 2019! Moonee Valley is a new addition in the EDFL Women’s competition this year. The Fog have a strong female presence in the junior ranks, which has helped to field a senior women’s side for the first time. Valenti is a strong mark and has great defensive skills, but enjoys running off half-back and having the odd shot at goal. Valenti has played football before but also has a basketball background. She will be Moonee Valley’s centre half-back. Caddy has an athletics background but has also played a little bit of football. She plays on a wing and runs hard, both defensively and in attack. Caddy is extremely fit and will run all day. She also enjoys the physical aspect of the game. Tarollo is a first-time AFL player with a netball background. Tarollo has picked up the game quickly and will play on-ball and rest up forward. Tarollo is a strong mark, has speed and is an accurate kick. Roxburgh Park was one of the struggling teams of the competition last year, but has stuck thick to keep a side together for the past two years. The Magpies have lost experienced duo Tricia and Bianca Devine but have recruited some talented players to take their place. Ebert has come to us after winning a league Best & Fairest in the NFNL. She is an elite kick and is just as accurate by hand. She can be played in a variety of positions. Wain has shown great positional awareness for someone new to the game. Her leadership will be an asset in the back line and through the middle. Fusi has played rugby before making the transition to football, is quite athletic, a ferocious tackler and has the uncanny goal sense. Tullamarine fielded an Under 18 team last year and decided to get a senior women’s team together for the 2019 season. The team will be led by coach Anthony Montrose, who has been coaching for 10 years. The side will feature two experienced leaders at the helm as well. Devine is the captain of the club after moving over from Roxburgh Park. Devine, a clever footballer both by hand and by foot, won a junior Best & Fairest with the Magpies in 2015. She has followed that up with plenty of accolades and will be a great leader for this side. Devine is the vice-captain of the club, moving over to the Demons from Roxburgh Park. Devine also used to play at Glenroy. She will be a key member of the side with valuable experience. Angelidis is a former Keilor player, so is no stranger to success. She is an experienced player who will add some leadership to the new team.